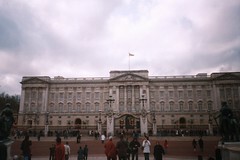 Buckingham Palace – I say. Essay. Assay. ऐसे. More pictures uploaded on Flickr by rahulrazdan. This was taken in January 2006. Just the sheer context was interesting — not the object by itself. Thks and all the best!